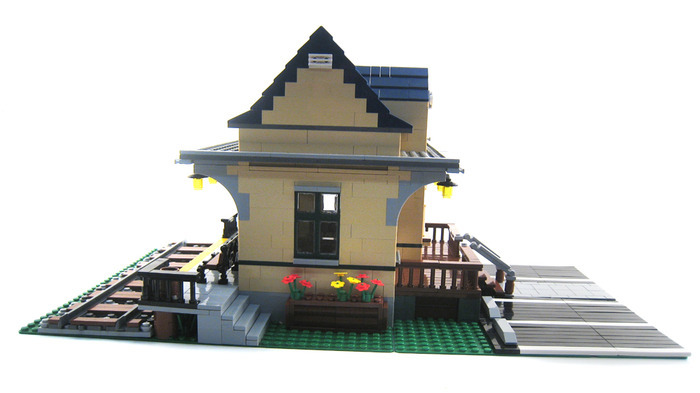 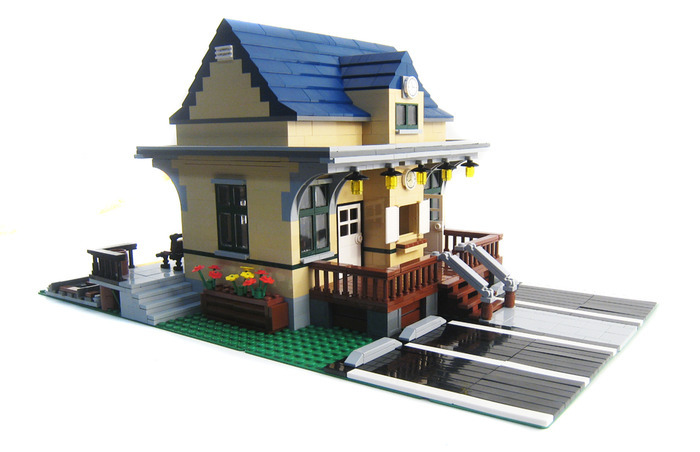 This small train station evokes classic small town train stations. 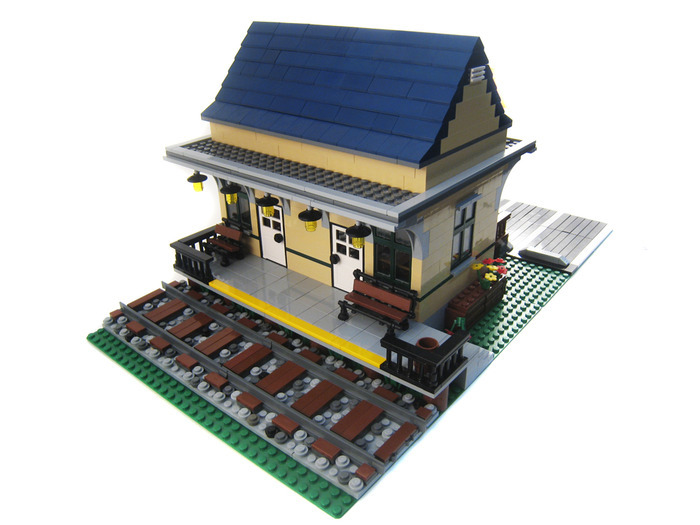 With just a few parking spots, a single ticket booth and a small platform, this station is just the right size for a stop in your small town. 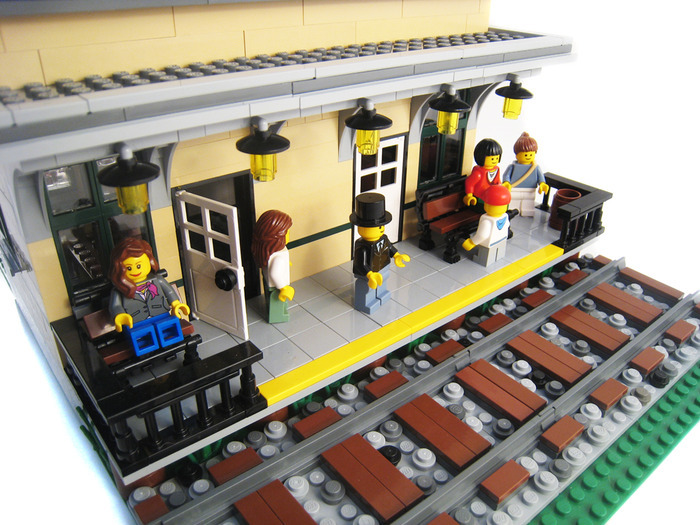 Directions are given on how to place the track to accommodate 6,7 and 8-stud wide trains. 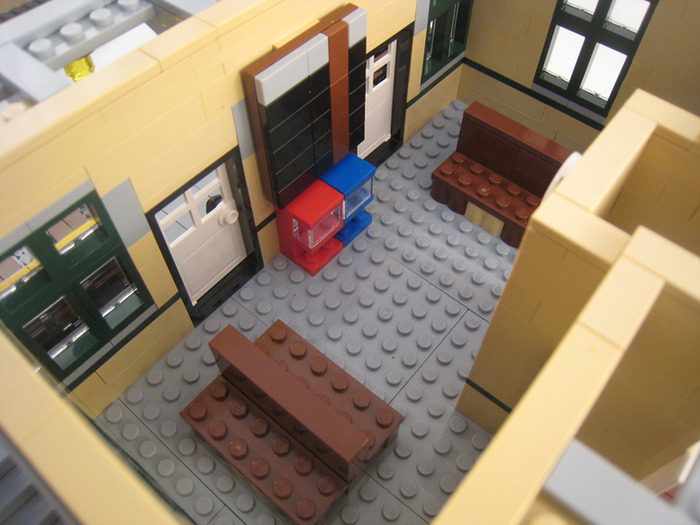 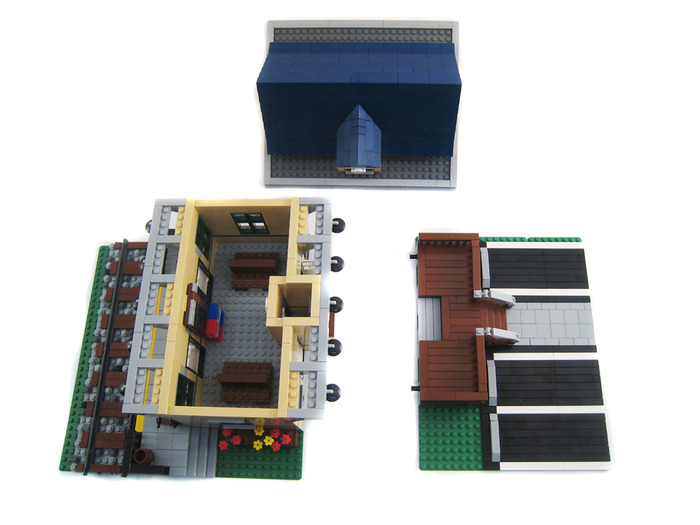 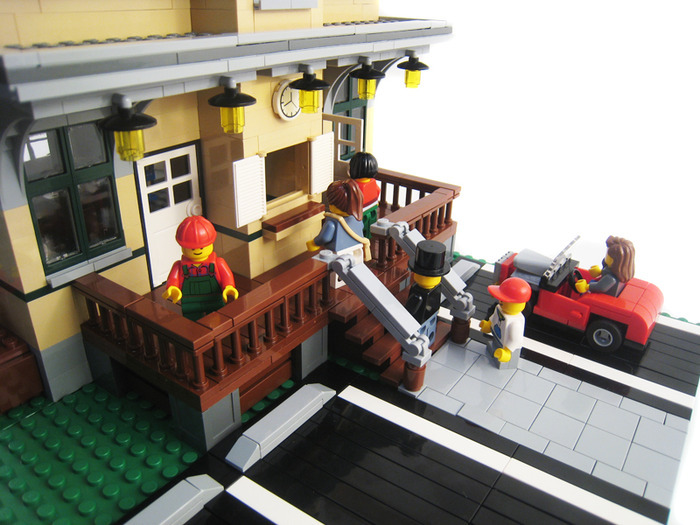 Building and parking lot sit on a custom-sized 32x56 baseplate area.